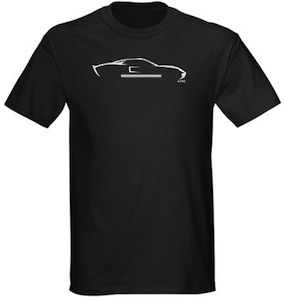 A car buff will like this t-shirt as it shows a silhouette of a Ford GT40. So not much color on this t-shirt but still a car t hat you can easily recognize. And sure this t-shirt comes in different styles and even colors but the main thing is the Ford.